The Duke of Sussex told competitors at the games on Sunday that his wife was "resting back at home." According to Kensington Palace, Meghan has had her royal duties "slightly" trimmed as she and Harry prepare to continue their trip with stops in Fiji, Tonga and New Zealand. 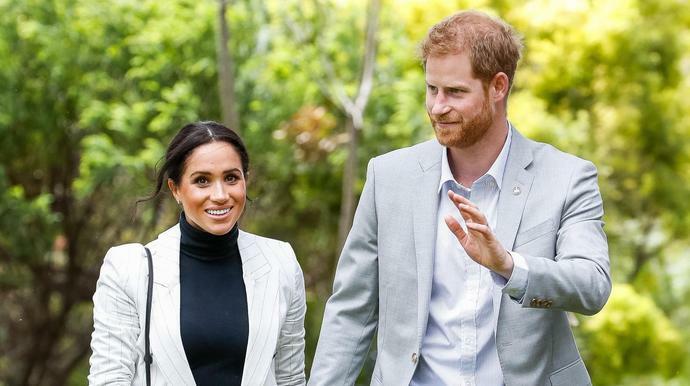 "After a busy program, the Duke and Duchess have decided to cut back the Duchess's schedule slightly for the next couple of days, ahead of the final week-and-a-half" of their tour, the palace said, per The Sydney Morning Herald. At Saturday night's opening of the Invictus Games, Harry thanked Australians for the warm welcome they had given the couple. "I have been so proud to be able to introduce my wife to you and we have been so happy to be able to celebrate the personal joy of our newest addition with you all," he said. The rumors just won't quit with these two.